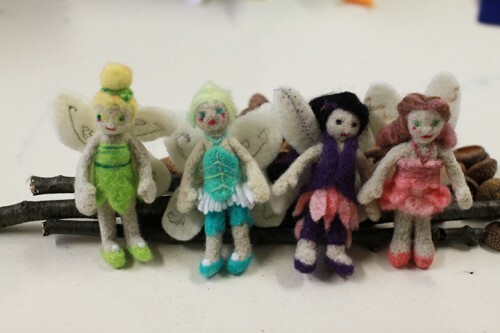 Kids have brought upon so much crafting that I never that I’d do, such as needle felting. Many times I’ve had requests for things objects to be tiny. Needle felting is easy & fairly economical (I buy small scraps of wool roving for a few dollars a piece at a local store or kool-aid dye what I need by a handful at a time) but there’s definitely a lot of finger stabbings so I keep a box of bandaids in my supplies. 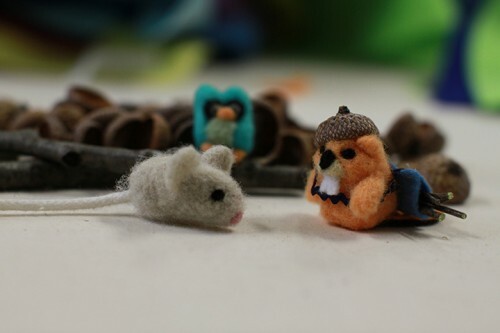 The mouse, beret wearing beaver, and owl are each about 1″ tall. My daughter wanted the Disney Fairy set and I just didn’t want to buy the whole set so opted to needle felt a few of them. They’re each about 2″ tall. Tagged craft, cute, felted, stuffed animals. Bookmark the permalink.